Depart from the hotel by motorbike, a Suzuki Smash 115cc, and visit four of Vientiane’s amazing highlights. Start with Vat Sisaket, the only temple left intact after the Siamese invasion of Laos in 1828. It shelters hundreds of statues of Buddha in its walls and is an infamous landmark in the city. Continue to Vat Phra Keo, which is now used as a religious museum where Lao and Khmer works of art are exhibited. It used to host the “Emerald Buddha” that is now on display in Bangkok’s Royal Palace. 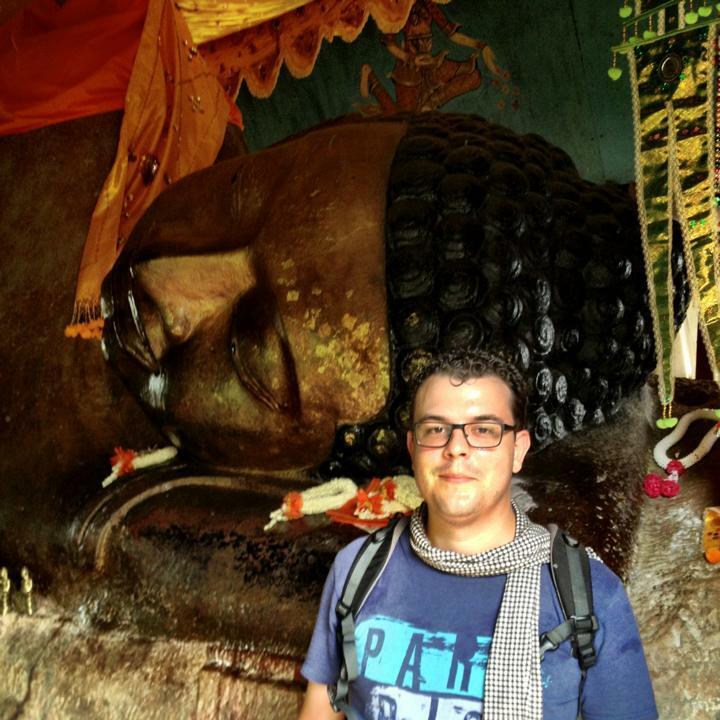 Later in the day, visit That Luang, the holiest place in Laos and object of an amazing pilgrimage each November. The structure is iconic and represented on all bank notes and official stamps of Laos. The golden stupa is build on a small hill and visible from afar. Its compound is just as impressive as its sight with many relaxing corners from where to observe the splendid architecture. Finally, visit the Patuxai Monument, also called Anousavari, and enjoy a panoramic view over the city from its roof. It is Vientiane’s own Arc de Triomphe that is located at the top of Lan Xang Avenue, the Champs Elysees of the Lao capital. After lunch (not included), visit the COPE center and learn more about Laos and a part of its history that is not very well known among most visitors: the Secret War. Learn all you need to know about the complications and challenges that the Laotian people faced after the war. End the day on a high note and visit the eccentric Buddha Park, which is located around 30 minutes from the city by car. The locals refer to the park as Vat Xieng Khuan. The park contains numerous religious sculptures that mix up Hindu and Buddhist styles. With over 200 statues along the Mekong River bank, it certainly is a very intriguing sight to behold. Return to Vientiane afterwards and enjoy a free remainder of the evening.